If you know anyone who would like a cup of tea, delicious cake and friendly chat please invite them along. If they need transport, please contact the office. Come and enjoy the fellowship over breakfast. This month a time to chat as there is no speaker. If you are coming, please put your name on the list a the back of church. As our usual Sunday falls on Easter Sunday, this month Cafe Connect will be on the fourth Sunday April 28th. Our weekly Prayer diary is available by looking on the worship section. We are a lively, diverse and inclusive community, seeking to grow in the Christian faith and to live out our faith in the world around us. Our services vary from traditional to modern, including “Fresh Expressions ” of church for those who prefer something less formal. Or come along to one of our services. You will be very welcome! 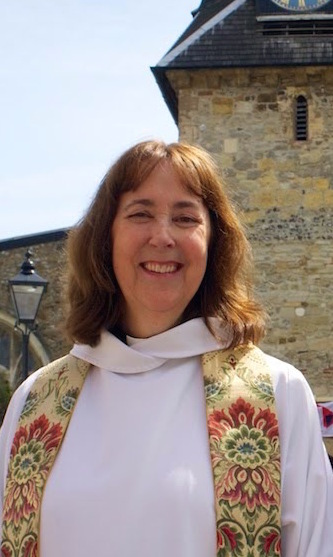 Vicar of St Peter’s Titchfield and Area Dean for Fareham.